You’ve got engaged, you’ve set the date, you’ve found the venue. And now you need the wedding photographer to record your happy day for posterity. Uncle Bob says he’ll bring his Polaroid but you were hoping for something a little more professional… The problem is: WHO? Finding a wedding photographer isn’t hard… Finding a good one is. Type ‘wedding photographer London’ into your Google search bar and you’ll come up with plenty of results. But how do you know which one to choose? These are the photographs you’ll cherish for the rest of your life, the pictures that you’ll show your children and grandchildren of your most important day. They need to be good. Because there won’t be any second chances. You’ll only get married once, you’ll only cut the cake once, you’re dad will only make one speech and there’ll only be one first dance. And you want the best shots. It’s the first and most obvious thing to do. Take a close and careful look at their previous work. Are the pictures good? Does the style of photography gel with how you envisage your own wedding photos? Misty and romantic in black and white, sharp bright colours that capture the moment, interesting groups and compositions – which ones appeal to you? 2. How realistic are the pictures? 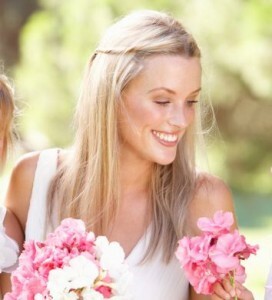 Don’t be fooled by staged wedding photographs that use models in studios to create stunning images. Look for realism: a good photographer will have captured those unforgettable moments that can’t be staged and real wedding photographs will have spontaneous warmth and joy that can’t be faked. If there are only one or two shots from each wedding then these will be best shots. But what about the rest? Look for a full set of photographs across a whole day, so you can see whether the photographer is consistently good or simply got one or two lucky breaks. Finding a photographer through personal recommendation can help, but even if your friends can’t recommend the photographer they used, you can still learn a lot from their experience. Did the photographer do as they asked? Make them feel relaxed? Was he unobtrusive and polite? Check that any photographer you’re considering is really a professional. Ask them about insurance and whether they have back-up equipment in case of malfunctions. Ask how long they’ve been in business and check whether they use a contract to outline exactly what you’ll be getting and how much it will cost. Avoid photographers who give vague or evasive answers to these questions. Choosing the cheapest photographer you can find is a false economy. Make sure you know how many pictures you will get for your money and how much additional prints for family and friends will cost. And don’t settle for a less expensive wedding photographer if you don’t really like his work. These are photographs that will grace your mantle piece for years and you don’t want to be looking at them with regret. Personal chemistry can make a big difference: you’re wedding photographer is going to be on hand for the whole day and to get the best shots you need to be relaxed in their company. Ideally, for most of the time, you shouldn’t even notice they’re there, but you also need to have confidence in their direction when it comes to the posed shots and group photographs. If you meet a photographer who you simply don’t like, it’s not going to work on the day. If there’s a particular shot you want or a certain grouping, make sure your photographer knows. Talk to him or her beforehand about the exact locations for the ceremony and for the posed photos, and provide a schedule for the day and a list of pictures that are must haves – such as cutting the cake or the first dance. This will avoid misunderstandings and double-bookings. Then give them a ring the day before to make sure everything is in order, that they know where they’re going and that they know the time they’re expected to arrive. If you find the right wedding photographer, you’ll have a set of perfect wedding photographs that you, your family and friends will enjoy for years to come. Headshot London is one of London’s leading wedding photographers and has many years of experience across the whole of the south east.